We're at an interesting crossroads in Android hardware. Manufacturers are switching from MicroUSB for power and wired data to the newer, more capable USB-C standard. But the rush to provide mobile users with hundreds of millions of new cables and chargers creates, well, a rush. We've already seen some USB-C cables and other hardware that have been substandard, sometimes with disastrous results. So civic-minded geeks, including independent researcher Nathan K., have been looking into the performance and power output of popular cables. It turns out that a specific cable from budget accessory provider Anker might be dangerous, because it "remembers" the voltage for the USB-C power input on some newer laptops like the Chromebook Pixel, then provides that same voltage to phones if not unplugged from a more powerful charging base. USB-C laptops are designed to take 15V-20V power input, but some phones are only designed to take inputs at up to 5V. The differential could damage low-power electronics or, in extreme cases, cause battery explosions or fires. Here's Nathan's video demonstrating the faulty cable that sends unsafe voltages to devices that aren't designed to accept them. With cables (or at least the USB-C connections on them) now compatible with everything from a tiny wearable to a full-power laptop, it's a serious problem for end users. We're big fans of Anker at Android Police - the company provides reliable external battery and other accessories at very reasonable prices. But we have to tip our hats to Anker's response to Nathan's investigation and public posts demonstrating that the PowerLine 3.1 Gen2 cable (model number A8185011) had a dangerous flaw. Anker verified Nathan's findings, then emailed customers with an unconditional refund for the cable, or a replacement USB-C cable once the problem is fixed. Anker is further instructing customers to simply throw their faulty cables away. We are offering all of our PowerLine USB-C A8185011 users a full refund. In addition, we would like to offer a free Anker PowerLine USB-C cable to affected customers once we have improved Anker PowerLine USB-C A8185011. You can read Nathan's exhaustive testing and proof over on Google+, and Google engineer Benson Leung has reposted the Anker email in its entirety. Kudos to both Nathan K. for his diligent research and to Anker for its fast response. 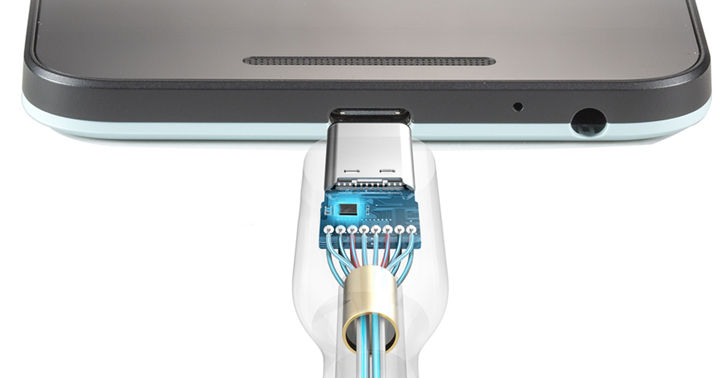 For more in-depth testing of USB-C cables, check Nathan's collection on Google+.